New York: Harper & Brothers Publishers, 1926. Bound in green cloth, stamped in black, sans DW; The true first edition (stated on the copyright page. 281pp. Tight, clean copy. . First Edition. Hard Cover. VG/No Jacket. NY: W W Norton & Co Inc, 1986. Bound in Maroon cloth and yellow boards, stamped in gold in matching illustrated dust jacket. The first edition of this 532 pp book on the West. Glowing reviews on back panel of dust jacket. . First Edition. Hard Cover. Near Fine/Very Good +. Nebraska: Bison Books, 1997. Bound in glossy wraps with colorful landscape picture to front panel. Has a yellow remainder mark to bottom page edges, a previous store price sticker to rear bottom panel,and is in otherwise near-fine condition. 322 pgs.. First Edition. Soft Cover. Near Fine/No Jacket. 8 1/2" X 5 1/2". New York: Evans and Co., 1987. Bound in tan cloth with brown lettering to spine; has a lightly bumped lower spine end and is in otherwise near-fine conditon. Dustjacket shows wear to extremes. 175 pgs.. First Edition. Hard Cover. Near Fine/VG++. 8 1/2" X 5 1/2". NY: Frederick A. Stokes, 1902. Bound in black cloth, stamped in blue and gold. 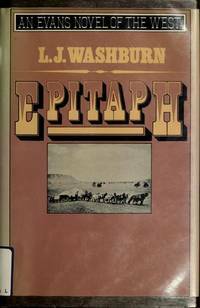 The first edition of this early Western. Frontispiece illustration is in black and white. Front hinge is just starting, but still a tight, clean copy. 326 pp. Yellowing to page edges. . First Edition. Hard Cover. Very Good +/No Jacket. Illus. by Frederick Remington. NY: Macmillan, 1957. Bound in gray cloth, stamped in red in matching dust jacket. Tight, copy of this 153 pp. Western novel by Ben Smith. . First Edition. Hard Cover. Very Good ++/Very Good +. Los Angeles: Nash Printing, 1974. Bound in brown textured boards with gold lettering to spine, has black & white illustrations throughout. Shows 2 tiny light bumps to top panel edge; and is in otherwise near-fine condition. Dustjacket shows a 1/2" closed tear to top panel by spine, and light wear to extremes. 68 pgs.. First Edition. Hard Cover. Near Fine/VG+. 8 1/2" X 5 1/2". New York: The Dial Press, 1970. Bound in brown cloth and gold boards stamped in black. 432pp. Overall, a tight, clean copy of a rather scarce Western first. This book was the basis for the 1972 Stuart Rosenberg film, "Pocket Money" that starred Lee Marvin and Paul Newmsn. 432 pp.. First Edition. Hard Cover. Near Fine/Near Fine. Boston: Houghton Mifflin, 1956. 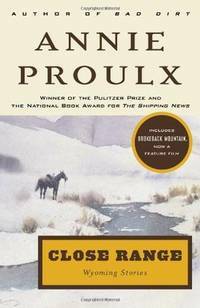 The first edition of this Western novel by the award-winning author of "The Big Sky". The book is bound in orange cloth, stamped in yellow and black. One bump to the bottom of spine and a bit of minor edgewear to extremes -- but overall, a most acceptable first edition of this title. 346 pp.. First Edition. Hard Cover. Near Fine/VG +. New York: Paperback Library , 1968. Shows scant bending at front top & bottom corners. Date stamped on top edge of pages. 128 pp.. First Edition. Paperback Original. Near Fine/No Jacket. NY: Dell, 1957. This is the first paperback printing (stated) of this early Leonard first. Two tiny dents and a slight tear to top of spine, but overall a most desirable first edition. 192 pp. . First Edition. Soft Cover. Very Good/No Jacket. New York: G.P. Putnam's Sons, 2001. 290pp. 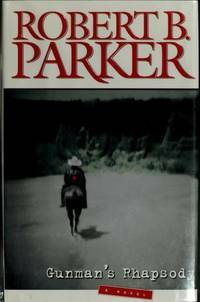 A western novel by the prolific crime writer . . . . First Edition. Hard Cover. Near Fine/Near Fine. New York: Ballantine Books, 1981. Mass-Market paperback; Bound in wraps; based on the movie starring Jason Robards and Klinton Spilsbury; 188pp.. First Edition. Soft Cover. VG++/No Jacket. New York: A.L. Burt, 1936. Reprint edition circa 1936; bound inviolet buckram, sans DW; decorated end-papers; black & white frontis. plate; 256pp.. Reprint. Hard Cover. Near Fine/No Jacket. New York: M.Evans and Company, 1989. "An Evans Novel of the West"; 161pp.. First Edition. Hard Cover. Near Fine/Near Fine. New York: Scrbner, 1999. "Brokeback Mountain" first appearance; watercolor plates by William Matthews; Closed tear to top corner of front panel. Overall, a most acceptable copy. Without the remainder mark. . First Edition. Hard Cover. VG+/VG+. Illus. by MATTHEWS, William. New York: Bantam Books, 1956. First Bantam books mass-market paperback printing; 120pp.. First Thus. Soft Cover. VG+/No Jacket. London: Blackie & Son, 1892. Bound in brown illustrated buckram, sans DW; black & white plates; 384pp. plus illustrated catalog at rear.. Early Reprint. Hard Cover. VG+/No Jacket. Illus. by PEARSE, Alfred. Lawrence, Kansas: University of Kansas Press, 1948. 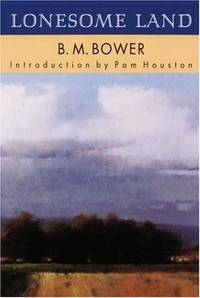 Formerly 'Rocky Mountain Review'; comment and reviews; in cellophane covered wraps; previous owners name stamped on title page; 56pp.. First Edition. Soft Cover. VG++/No Jacket. Periodical. Lawrence, Kansas: University of Kansas Press, 1949. Formerly 'Rocky Mountain Review'; correspondence, comment and reviews; in cellophane covered wraps; previous owners name stamped on title page; some underlining; 56pp.. First Edition. Soft Cover. VG+/No Jacket. Periodical.